From Hungerburg Station in Innsbruck to intriguing Z-boat, here are seven of her most impressive designs that every learning or established architect must see. Hungerburgbahn is a hybrid funicular railway station in Innsbruck. 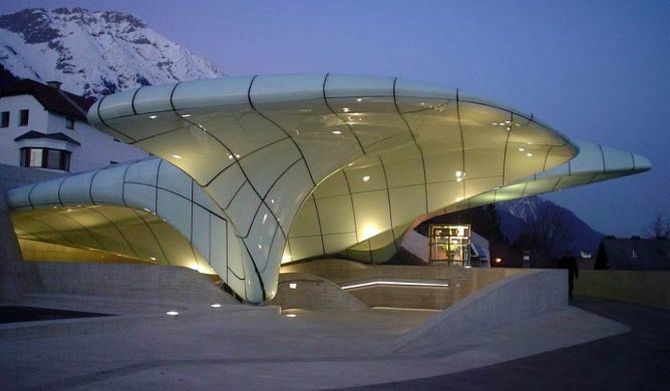 Designd by none other than Zaha Hadid, each of the four stations on the line are striking in every sense. This half-enameled icicle is surrounded by a mountainside location and seems like a cloudy structure atop the hillside. What makes the structure more striking is its dynamic curvy layout that’s covered up with glossy white surface. This is one of the most wonderful gifts by Hadid to architectural world. 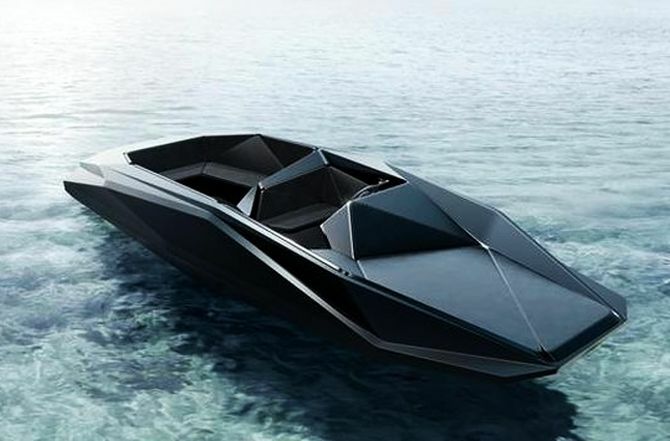 Architect Zaha Hadid was commissioned to design a limited edition speedboat for American art dealer Kenny Schachter. The bold geometric and curvy patterns on the speedboat reflect signature style of Hadid. It is eight-meter long vessel that’s made from fiberglass and features asymmetric body. Z boat accommodates comfortable eight seats and powered by 1×220 HP Mercruiser. Russian billionaire Vladislav Doronin wanted something special and out-of-the-world for his supermodel girlfriend Naomi Campbell. 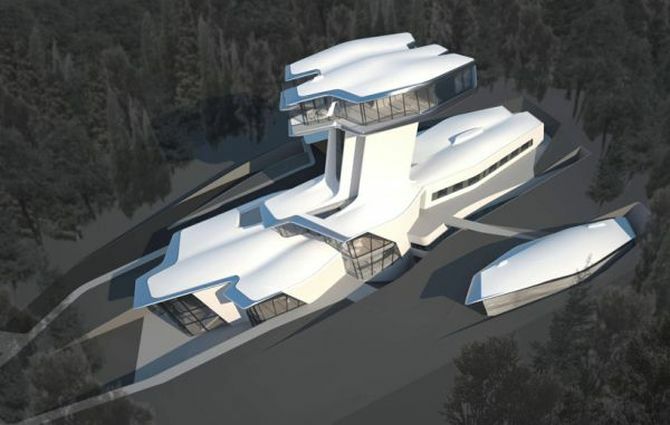 So, he commissioned Hadid to design a house inspired by the style of a spaceship. Located in Barvikha, Moscow, the 2,650 square-meters futuristic home consists of two spacious components. The main section includes living and dining spaces, while the other section is reminiscent of a periscope soars that’s about 22-meter high to provide majestic views of the surrounding landscape. A fire crippled the Vitra Design Campus in Germany was completed in 1933. After a decade Hadid was commissioned to completely renovate the space, as if the incident never happened. 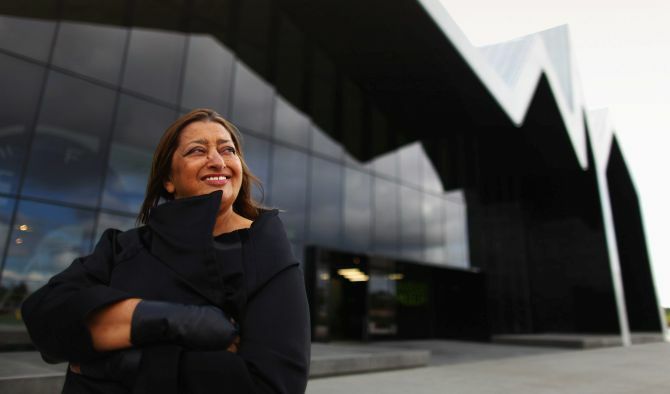 This was Hadid’s first built project boasting soaring planes of deconstructive interplacy of space, void and line. With this structure she made a mark in her career, as well as on the world of architecture. Phaeno Science Centre in Wolfsburg is the timeless architectural piece by Zaha Hadid. She has brilliantly created an epitome of hypnotism using just concrete, steel and glass. Exterior is embellished with glacial windows complementing white concrete. On the other hand, interior features soring latticework ceiling to the gallery along with huge concrete columns. Together the lattice work and these cement columns give somewhat monumental feel to the building. Hence, the structure can also be considered as Cathedral of Science. 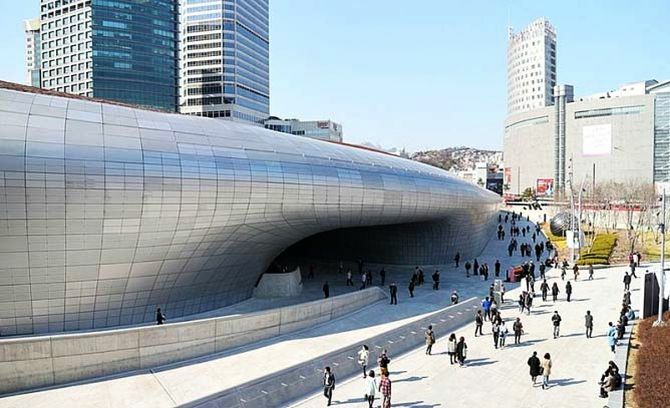 Dongdaemun Design Plaza is a major landmark in Seoul, South Korea and it is designed by the ‘Queen of the Curve’ herself. Located nearby Glasgow’s Riverside Museum, boasting flowing soft and smooth curvy forms with dynamic lines interacting with natural light. 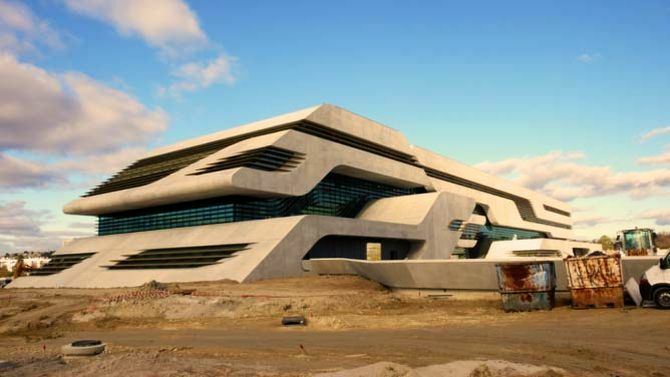 It is an epitome of Neo-Futurism and showcases distinct Hadid style. At night, the building looks even more gorgeous when lit up like Hokusai’s Great Wave, illuminating each pixilate with light. Situated in Montpellier, Pierresvives building is designed to combine the archive, library and sports department. Therefore, the structure of the building has been designed to fulfill all the demands in form of one architectural piece. 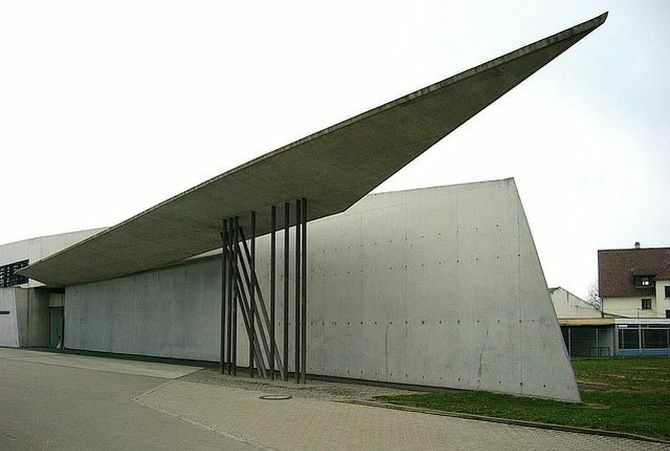 The concrete structure highlights geometric qualities of This accomplishment is one of Hadid’s great triumphs. The concrete and geometric qualities, which further forms a single architectural force, taking the building designing aspects to whole new level.